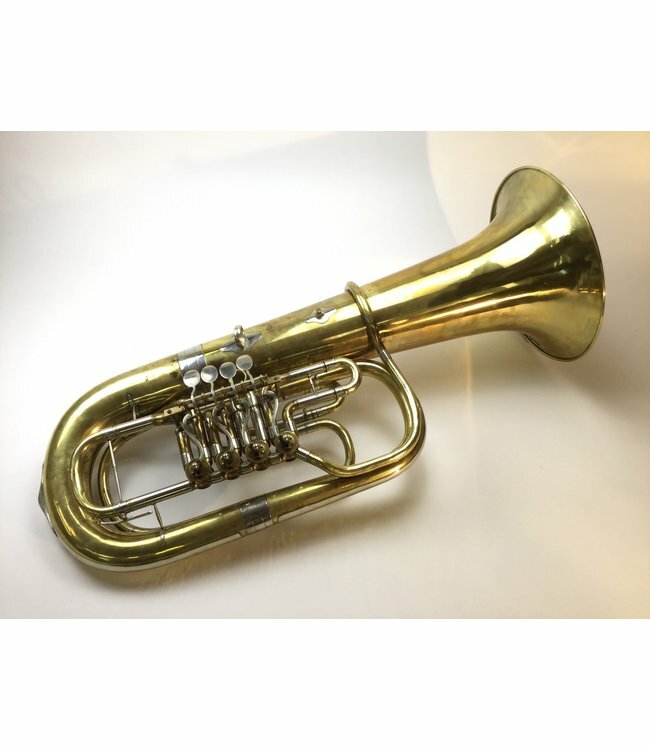 Used Weltklang (early B&S manufactured) F tuba in raw brass with hard-shell case. 15" upright bell, 39" tall and 4 rotor valves of .670" bore. Accepts both American Shank and Small European shank tuba mouthpieces.